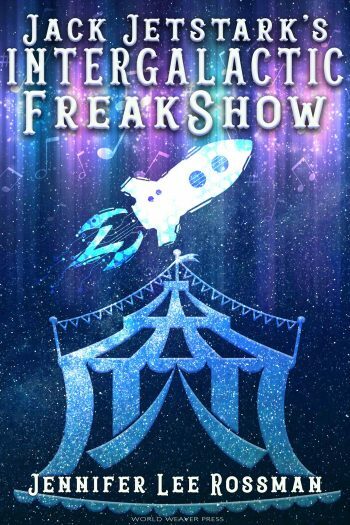 World Weaver Press and author Jennifer Lee Rossman are revealing the cover to JACK JETSTARK’S INTERGALACTIC FREAKSHOW, an adult science fiction/fantasy, releasing December 4, 2018. See below for the cover, information on the book, preorder links, and a link to add it to your Goodreads TBR. 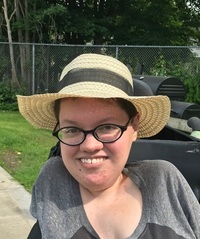 ennifer Lee Rossman is a science fiction geek from Oneonta, New York, where she cross stitches, watches Doctor Who, and threatens to run over people with her wheelchair. Her work has been featured in several anthologies and her time travel novella Anachronism will be available in June 2018. Her debut novel, Jack Jetstark’s Intergalactic Freakshow, will be published by World Weaver Press in 2018.